Ngapali is a small town on the remote west coast of Myanmar. A mountain range virtually isolates the coastal region from central Myanmar. This is a magical little place with a beautiful beach and interesting local villages to explore. 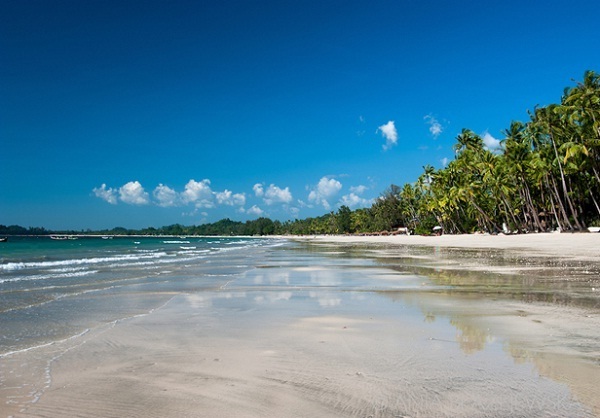 Ngapali Beach is located in the state of Rakhine or Rakhaing in Western Myanmar facing the Bay of Bengali. You can reach Ngapali by land or plane. There are four local airlines (Air KBZ, Air Mandalay, Air Bagan and Yangon Airways) providing air services to Thandwe about four miles from Ngapali beach. If you go to there by bus or normal express car, it will take 16 hours drive. Ngapali Beach Myanmar is an ideal choice for beach lovers dream. It is peaceful with white sand, the quiet rural surroundings, Rakhine ways of life, local fishing style, etc. It is a 3 kilometers long white sandy pristine beach overlooking the clear and blue water of the Bay of Bengal, backed by swaying coconut palms and casuarinas-trees. After sunset, the sea in front of the beach is lit by the lanterns of the fishermen’s boats and can be seen until morning. Many local people say that Ngapali is named by a wayward Italian reminiscing about Naples years ago. This young Italian traveler lived for awhile along this beach. He fell in love with the sand and the sea reminding him of his home in Naples. Most probably over the years Naples and the local pronunciation of its Burmese name meaning “inveigling Fish” became known as Ngapali. Until now, Ngapali still continues to maintain a charming fishing-village vibe, as evidenced by the small boats heading out day and night to catch a bounty that is later served up superfresh in restaurants and hotels. 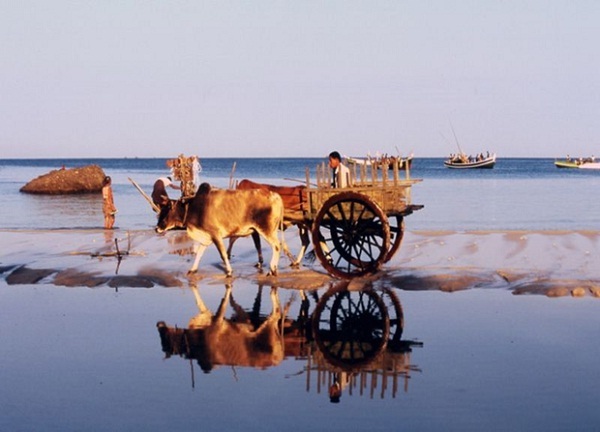 Ox-drawn carts amble along the beach as locals find the sand-ways a smoother ride than the rough one-lane road. Ngapali is currently experiencing something of a construction boom, fewer than two dozen bungalow-style resorts spread across more than 15 miles of coast. However, there is still a lot of space on the beach. 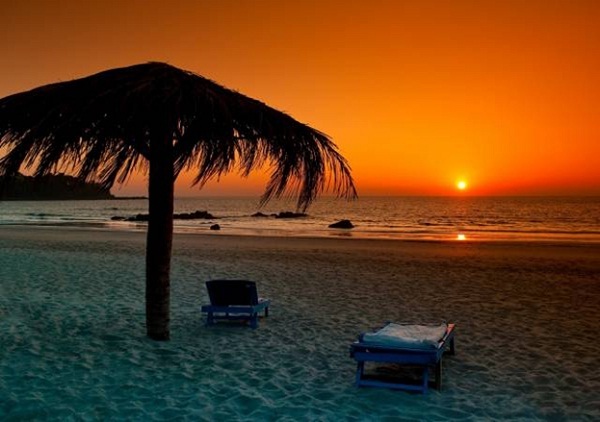 In Ngapali Beach, you can relax under a palm tree and go swimming occasionally. Water is very clear and the white sand on the beach will not disappoint either. The beach looks west, meaning that there will be not so much of sun in the morning but a beautiful sunset in the evening. A common half-a-day trip offered by most resorts and shops along the main road includes fishing, snorkeling and a visit to a nearby island. Especially, Ngapali Beach also offers the best seafood cuisine in Myanmar. Almost all the restaurants are seafood restaurants, but they also serve dishes that come from other countries such as: Thai, China and Western countries. On the beach-side of the main road are the resorts’ restaurants and on the other side, you will find somewhat cheaper local restaurants. Prices are affordable, even in the resorts. Ngapali will be an ideal beach for many tourists with quiet, white sand, the quiet rural surroundings, Rakhine ways of life, local fishing style. Also, many well-equipped and modern hotels and resorts also contribute partly to make a wonderful trip in Ngapali Beach. If you are a person who loves beach and want to explore pristine beaches, Ngapali Beach will be a perfect choice during your trip to Myanmar 12 days.